Thousands of Hotmail passwords have been hacked and posted online, Expressyoureself has learnt. Microsoft, which owns the popular web-based e-mail system, said that it was aware of the claims and that it was “investigating the situation”. Expressyoureself has seen a list of more than 10,000 accounts, which technology blog Neowin.net said had been posted online. The blog suggested the accounts had been hacked or had been collected as part of a phishing scheme. Phishing involves using fake websites to lure people into revealing personal details such as bank accounts or login names and passwords. Neowin claims the details were posted on 1 October to pastebin.com, a website commonly used by developers to share code. Although the details have since been removed, BBC News and Neowin has seen a list of 10,027 names beginning with the letters A and B. “[We] can confirm the accounts are genuine and most appear to be based in Europe,” Tom Warren, a neowin blogger, wrote on the site. The list included details of Microsoft’s Windows Live Hotmail accounts with email addresses ending hotmail.com, msn.com and live.com. 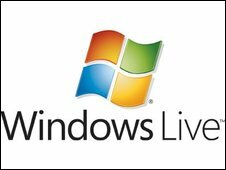 Microsoft said it had “been made aware of the claims that Windows Live IDs and passwords have been made available on the web”. “We’re actively investigating the situation and will take appropriate steps as rapidly as possible,” a spokesperson said. Neowin said that it recommended Windows Live Hotmail users to change their “password and security question immediately”. Hotmail is currently the largest web-based email service. The blogosphere has noted several sightings of Apple’s co-founder around its campus in Silicon Valley. “Jobs is in the house!” declared CNBC’s Jim Goldman, who is regarded as having close ties to Apple. “Confirmed! Steve Jobs did report for work today, according to employees who have seen him on campus,” wrote Mr Goldman in his TechCheck column. Months of rumour ensued and the company’s share price rose and fell as a result. In January, Mr Jobs revealed that he was being treated for a “hormone imbalance”. 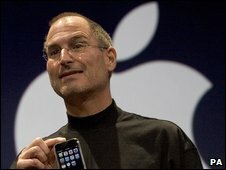 Apple boss Steve Jobs received a liver transplant about two months ago and is expected to return to work later this month, a US newspaper has reported. The Wall Street Journal said the Apple chief executive would be returning to his job on schedule, but may initially work part-time. Neither Mr Jobs nor a company spokeswoman confirmed the report, the newspaper said. Mr Jobs ceased his normal management role more than five months ago. In January, he announced that he was being treated for a “hormone imbalance”, and had been losing weight throughout 2008. Mr Jobs co-founded Apple in 1976. He left in 1985, before returning in 1997 and becoming full-time chief executive in 2000. 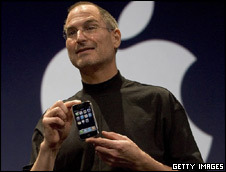 He is seen to have played a crucial role in Apple’s growth. The company’s share price has recently risen and fallen in step with rumours or news about his health. He has already survived a pancreatic cancer that was diagnosed in 2004. Cut off in the seclusion of space, crew members living aboard the International Space Station (ISS) depend on regular deliveries of air, water, food and fuel for their survival. But when the ageing space shuttle fleet is retired in 2010, the US space agency (Nasa) will lose a principal means of ferrying crew and cargo to the ISS. The shuttle’s replacement – Ares-Orion – will not enter service until 2015 at the earliest. And in April, Nasa told legislators it would stop asking for Congressional permission to buy cargo space on Russian Progress re-supply vehicles after 2011. That leaves the US dependent on European and Japanese spacecraft for delivering supplies to the space station. But Nasa has also been pursuing a commercial approach. Three years ago, the space agency took the unprecedented step of fostering the development of private spacecraft designed to carry crew and cargo to the ISS. 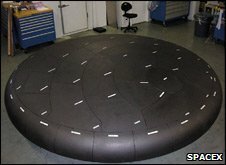 It offered $500m (£340m) in “seed money” to help stimulate a competitive market for supply flights to the space station. This month, Nasa awarded two companies – SpaceX and Orbital Sciences Corporation – with lucrative contracts to provide cargo delivery flights to the ISS up to 2016. 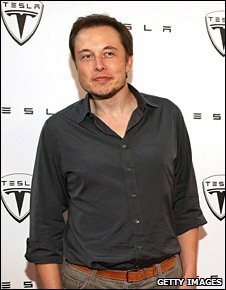 Mr Musk made a fortune from the sale of his internet payment service PayPal to eBay and has invested at least $100m (£68m) of his own money in SpaceX, based in Hawthorne, California. The company’s cargo re-supply plans are based around a rocket called Falcon 9. The standard version of the Falcon 9 is arguably a medium-lift launcher, says Mr Musk, designed to place 9,900kg into low-Earth orbit (LEO). Assembly of the first Falcon 9 at SpaceX’s new launch site at Cape Canaveral, Florida, should be complete by 31 December 2008. “To external appearances, it looks like something from the Apollo programme, or Gemini, or Soyuz. But the materials are much more advanced, it’s designed to be reusable – which is an important characteristic,” Mr Musk told BBC News. Falcon 9 is the intended launch vehicle for a capsule, called Dragon, measuring some three and a half metres (12ft) in diameter. Dragon is designed to carry more than 2,500kg of cargo, or a crew of up to seven, into LEO. It is capable of carrying both pressurised items – those that need to be kept at Earth pressure and are to be used inside the space station – and unpressurised cargo – to be used outside the ISS, such as control moment gyros. “The Falcon 9-Dragon system is intended to replace the function of the space shuttle when that retires in 2010,” says Elon Musk. Falcon 9 will place Dragon in an initial parking orbit. From there it will manoeuvre towards the ISS. Dragon will make a slow approach and, once in range, will be grabbed by the space station’s robotic arm and berthed. During the high speed return to Earth, Dragon will be protected by a heat shield made of phenolic impregnated carbon ablator (PICA). This highly heat-resistant material is barely scathed at heat fluxes that would vapourise steel. The capsule will parachute down to the sea for recovery. “Hopefully we’ll do the first demonstration flight next year of the Falcon 9-Dragon system, then particular demonstrations in 2010 and start doing operation missions possibly by the end of 2010,” Mr Musk told BBC News. First of all, Dragon will carry astronauts from Nasa and from other space agencies to the ISS. But Mr Musk hopes also to transport space tourists to private orbiting stations. 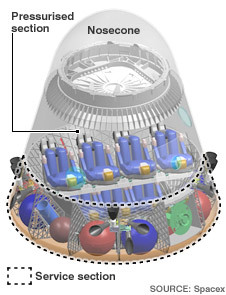 One company, Bigelow Aerospace, is planning to assemble an orbiting “space hotel” based on a series of inflatable modules. “We have also thought of perhaps carrying private space adventurers on a loop around the Moon,” says Mr Musk, adding that this would probably cost on the order of $40m-$50m per person. The other winning bid in Nasa’s cargo re-supply contract was made by Orbital Sciences Corporation, based in Dulles, Virginia. Orbital’s vehicle consists of a medium-lift rocket called Taurus 2 which will be used to launch the Cygnus capsule. Unlike Dragon, Cygnus will only carry cargo – not astronauts. 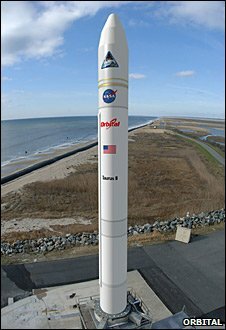 Launching from the Wallops Flight Facility in Virginia, the medium-lift rocket will be able to ferry 5,500kg into LEO. Orbital is due to carry out a demonstration flight in the fourth quarter of 2010.”We took a bunch of existing parts but combined them in a way that is very, very efficient,” says Dr Antonio Elias, Orbital’s executive vide-president, who is overseeing the development of the new system. Cygnus is based around a common service module, containing the vehicle’s propulsion, power systems and avionics. To this common module is added one of three types of specialised cargo modules – each designed for different mission scenarios. One of these specialised modules will carry pressurised cargo, another will transfer unpressurised cargo, and a third type of module will return cargo items from the space station to Earth. “The one that will be used the most, I believe, is the pressurised cargo module,” Orbital’s executive vice president told BBC News. Dr Elias describes this module as a “big empty can”. It is “volumetrically efficient and light” because, says Dr Elias, “all it has to do is bring cargo up”. “It gets attached to the station, the hatch opens and crew empty the pressurised ‘can’ of its contents. They fill it up with trash, close the hatch. The service module backs it out of position and de-orbits it over the Pacific Ocean. Both can and service module then perish in a fiery ball of plasma,” Dr Elias told BBC News. The unpressurised module is less efficient because some complex, heavy mechanisms are required to attach cargo: “The boxes you carry have to be very far apart because the (ISS robotic arm) has to come around and handle them. You have to give it lots of clearance,” says Dr Elias. The efficiency of the cargo return module, he says, is relatively low because of the shielding, parachutes and other paraphernalia required. He expected only a fraction of re-supply flights would require the use of this module. Orbital says this approach of using specialised modules keeps development costs low. Dr Elias was chief designer of Orbital’s Pegasus rocket, the first privately developed launch vehicle, which made its maiden flight in 1990. A few years ago, he says, Orbital came up with an idea to re-supply the space station using Pegasus. But, at the time, the benefits were not clear to either Orbital or Nasa. In fact, the origins of Orbital’s Taurus 2-Cygnus system can be traced to the demise of the Delta 2 rocket. For two decades, the Delta 2 had been the US fleet’s most reliable medium-lift launcher for military, scientific and commercial payloads. It is still a perfectly good rocket, but Nasa plans to make its final Delta 2 launch at the end of the decade, shifting more of its medium-lift launch traffic to the Atlas 5 or Delta 4 heavy launch vehicles. The US Air Force’s Evolved Expendable Launch Vehicles (EELVs), though significantly bigger, are expected to be comparable in cost in the long run – if not cheaper – than the Delta 2. “We became concerned that the US government satellites we were bidding for, winning and building in this class would disappear for lack of a launch vehicle,” Dr Elias explains. Orbital began designing a successor to the Delta 2 with its own money. Although the company was on solid financial ground, finding a market to justify the expense was not easy. But a new opportunity was about to present itself. In August 2006, Nasa selected two companies – SpaceX and Rocketplane Kistler – to develop and demonstrate orbital re-supply vehicles under its Commercial Orbital Transportation Services (COTS) programme, setting the firms aggressive timelines. The space agency dropped Rocketplane Kistler a year into the programme; the company reportedly failed to meet a development milestone to Nasa’s satisfaction. “We decided to make an offering whereby Orbital would provide out of its own funds not only the additional money to develop Taurus 2, but also a space vehicle that would be suitable to provide those services,” said Dr Elias. Orbital filled the void left by the departure of Rocketplane Kistler, winning a Nasa contract under Phase II of COTS. Each of the Commercial Resupply Services (CRS) contracts awarded to SpaceX and Orbital in December is worth a potential $3.1bn (£2.1bn). But the market itself remains very small. “I don’t think the market can support more than two companies. And it’s going to be hard for it even to support two,” Dr Elias told. Observers point out that Nasa is betting on vehicles which do not yet exist, an approach which presents a major risk for the space agency.Not only is it relying on two companies to keep supplies coming to the ISS, Nasa hopes the rocket and cargo vehicles can be developed in months – not the years it has usually taken other agency programmes. “The task is significantly bigger than anything either company has ever done,” John Pike, a space policy analyst for GlobalSecurity.org, told the LA Times. But Nasa is not putting all its eggs in one basket. 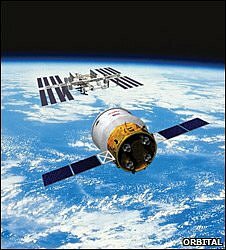 It can still barter for cargo space aboard the European Automated Transfer Vehicle (ATV) and Japan’s H-2 Transfer Vehicle, or HTV, which is due to enter service in 2009. Europe also plans to modify the ATV so that it can bring cargo back from the space station, a capability Nasa is eager to have. 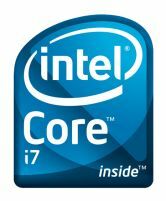 The Core i7 also has the latest Intel power-saving technologies, allowing desktops to go into sleep states formerly reserved for intel-based notebooks. Intel Core i7– 920, Intel Core i7-940 and Intel Core i7-965 Extreme Edition have been launched in Pakistan. The Core i7 processor is the first member of the Intel Nehalem microarchitecture family; server and mobile product versions will be in production later. Each Core i7 processor features an 8MB level 3 cache and three channels of DDR3 1066 memory to deliver the best memory performance of any desktop platform. Intel’s top performance processor, the Intel Core i7 Extreme Edition, also removes overspeed protection, allowing Intel’s knowledgeable customers or hobbyists to further increase the chip’s speed. A Chinese astronaut has become the first in his country’s history to take a walk in space. The exercise is seen as key to China’s ambition to build an orbiting station in the next few years. “I’m feeling quite well. I greet the Chinese people and the people of the world,” he said as he climbed out of the Shenzhou VII capsule. The “yuhangyuan” (astronaut) was tethered to the capsule with an umbilical cable. Earlier, Zhang Jianqi, one of the chief engineers for China’s space programme, said keeping three men in the spacecraft, and then sending one outside, would be a “big test”. “This is a big technological leap,” he told state-run news agency Xinhua. At the end of the mission, the Shenzhou re-entry capsule will target a landing in north China’s Inner Mongolia Autonomous Region. Chinese media report that this latest mission is the “most critical step” in the country’s “three-step” space programme. China’s three astronauts have spent their first day in orbit preparing for the mission’s spacewalk. A 42-year-old fighter pilot, Zhai Zhigang, is due to carry out the 20-minute manoeuvre at 1630 Beijing Time (0830 GMT) on Saturday. It will be the first time Chinese yuhangyuan (astronauts) have ventured outside their spacecraft. Their Shenzhou VII capsule soared into orbit on a Long March II-F rocket from Jiuquan spaceport in north-west China. Mr Zhai is joined on the mission by two other “yuhangyuan” – Liu Boming and Jing Haipeng. Zhang Jianqi, one of the chief engineers for China’s space programme, said keeping three men in the spacecraft, and then sending one outside, would be a “big test”. When Mr Zhai carries out his extra-vehicular activity (EVA), he is expected to wear a Chinese-made spacesuit thought to have cost between £5m and £20m ($10m-$40m). The yuhanguan will be tethered to the capsule with a cable that provides him with life support and a communications link with the spacecraft. His back-up, Mr Liu, will monitor the activity, presumably to reel the spacewalker back inside if there is an emergency. 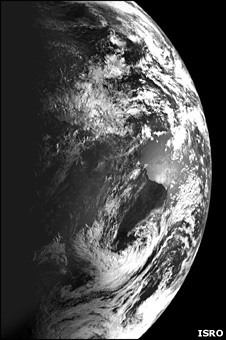 Mr Zhai will retrieve an externally mounted experiment and oversee the release of a satellite. During their 68 hours in orbit, the astronauts will be able to enjoy an unprecedented choice of food. The menu includes spicy chicken with peanuts, shrimps and dry fruits. “We have tried to make them taste like stir-fried dishes they have on Earth,” Chen Bin, who is in charge of food for the astronauts, told state-run news agency Xinhua. According to the Associated Press, Xinhua posted an article on its website prior to the lift-off that was written as if Shenzhou VII had already been launched into space. Mr Rossy had hoped to reach speeds of 125mph. The flight was broadcast live for the National Geographic Channel. Its producer, Kathryn Liptrott, told the Mr Rossy was fearless.